Copyright: © 2015 Antony N. This is an open-access article distributed under the terms of the Creative Commons Attribution License, which permits unrestricted use, distribution, and reproduction in any medium, provided the original author and source are credited. Coccidioidomycosis involving the larynx is a rare occurrence which seems to present with non-specific upper airway symptoms. The diagnosis is made by tissue biopsy and the treatment is usually fluconazole for 6-12 months depending on the clinical presentation. In unusual presentations of laryngeal problems clinicians should consider Coccidioidomycosis, especially in endemic regions. We present a 59-year-old Hispanic female resident of West Texas who presented with symptoms of hoarseness, sore throat, and low-grade fevers for 2-3 months. She had been evaluated by her primary care physician who had treated her with several courses of antibiotics including quinolones, azithromycin, and cephalosporins. Because of the persistence of her symptoms she was sent to an otolaryngologist. On examination her temperature was 98.4 F, blood pressure was 124/78 mm Hg, and pulse 78 bpm. Laryngoscope revealed a soft tissue mass along the left side of the airway just above the vocal cords. No cervical lymphadenopathy was noted. The rest of the examination was unremarkable. A biopsy of the lesion revealed spherules with endospores and accompanying granulomas; fungal cultures were consistent with Coccidiodes immitis. Chest x-ray was unremarkable. Computed tomography (CT) scan of the chest revealed two pulmonary nodules at the superior segment of the left lower lobe. Other relevant labs included hemoglobin and hematocrit of 13.9 g/dL and 40.6% respectively, normal range 11.5-15 and 34-44. White blood count was 11,000 per μL (4-10.5) with 58% neutrophils, 31% lymphocytes, 8% monocytes, 2% eosinophils, and 1% basophils. The C. immitis complement fixation titer (CFT) was negative at <1:1 and enzyme immunoassay (EIA) was unavailable. The patient was placed on fluconazole 400 mg per day for 6 months. Serial follow-ups revealed a decreasing size of the laryngeal mass with complete resolution of the lesion by the end of 3 months and repeat a chest x-ray demonstrated some resolution in the size of the lung nodules. Repeat serum Coccidioidomycosis CFT level remained negative. Coccidioidomycosis spp. is a dimorphic fungus endemic to the southwestern United States and Northern Mexico . Infection occurs through inhalation of the Coccidioidomycosis arthroconidium from the soil. The areas with the highest endemic sources of infection are in California and Arizona which together make up more than 50% of all cases . The incidences in high-risk locations have risen from 5.3 cases per 100,000 in 1998 to 42.6 per 100,000 cases in 2011 . This rise in reported cases has been in part hypothesized to the increased sensitivity of Coccidioidomycosis serological tests and industrialization into endemic areas [3,4]. The most common presentation of Coccidioidomycosis includes symptoms of chronic fatigue, malaise, and productive cough. Episodes of occasional of arthralgias are common with a primary pulmonary source as well . The risk factors associated with severe disseminated infection are immunosuppression such as, AIDS, solid organ transplant recipients, lymphomas, or prolonged steroid use . While the vast majority of Coccidioidomycosis infections have a primary pulmonary source, primary Coccidioidomycosis of the larynx is a very rare and unusual presentation. A review of the literature was done using Medline and PubMed and was simplified into a table (Table 1). The following characteristics seemed consistent with patients with laryngeal Coccidioidomycosis. First, the most common complaint appeared to be vocal changes, primarily hoarseness of the voice in 50% of cases. Other presenting symptoms were cough, malaise, and a nonspecific flu-like presentation. Secondly, 50% of the patients demonstrated evidence of possible pulmonary involvement with chest imaging, however only 23% of patients underwent bronchoscopies or pulmonary biopsies. In a majority of cases, the diagnosis was confirmed with a biopsy of the larynx or sputum cultures. And thirdly, in 58% of cases the CFTs were equal or greater than 1:16. Any positive CFT is considered clinically relevant; IgG will diminish over a period of 6 months after treatment. It is for this reason that it is used as a marker of successful therapy along with clinical resolution of the initial symptoms. In addition, PCR for Coccidioidomycosis spp has been developed which has shown very high sensitivity and specificity in infected patients . As well, use of enzyme immunoassay (EIA) for patients infected with Coccidioidomycosis can assist with a definite diagnosis in presence of an inconclusive or inconsistent CFT . Sensitivity for patients with symptomatic infections is very high, however in immunocompromised or asymptotic patients results should be interpreted with caution . The current treatment of laryngeal Coccidioidomycosis is amphotericin B or fluconazole, however the drug of choice is fluconazole [1,9-19]. To date, there have been no cases of laryngeal Coccidioidomycosis being treated with the newer azoles such as voriconazole or posaconazole. Relapse rates in isolated laryngeal infections are not known due to the scarcity of documented cases. In this case, the usual features included multiple repeat negative CFT's, no definite evidence of pulmonary disease, and an isolated infection in an otherwise healthy female. At this point it would be difficult to speculate as to whether she would have had a positive EIA in the presence of a localized infection. However, given the laboratory and clinical data available, it would indicate the primary source of the patient's Coccidioidomycosis infection was limited only to her larynx. Due to her lack of pulmonary symptoms and negative CFT, a bronchoalveolar lavage was unnecessary and would add unneeded risks to the patient. There have been many proposed hypotheses of isolated laryngeal involvement however no proven theory has emerged as yet . The most likely etiology of laryngeal involvement is from hematogenous spread of a primary pulmonary focus or dissemination from a high fungal burden in the host . However, the etiology of our patient's laryngeal Coccidioidomycosis is not clear. Due to the sporadicity of cases of laryngeal involvement of Coccidioidomycosis, morbidity and mortality is difficult to determine. With ease and mobility of travel it is very feasible for patients who live outside the expected area of infectivity to develop this illness. While cases of isolated laryngeal C. immitis are exceedingly rare, one should consider uncommon fungal etiologies like Coccidioidomycosis in patients with difficult to treat upper respiratory tract or pneumonia-like symptoms. In summary, laryngeal Coccidioidomycosis is an unusual presentation of a common illness endemic to the southwestern United States. The diagnosis is made on the biopsy of the larynx and treatment is with fluconazole for 6-12 months. 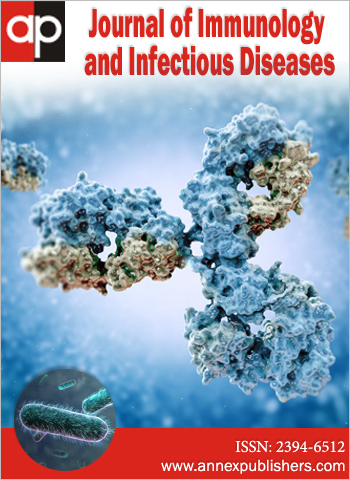 Dr. Suresh J. Antony for his input and assistance in developing this manuscript. 1 Boyle JO, Coulthard SW, Mandel RM (1991) Laryngeal involvement in disseminated coccidioidomycosis. Arc Otolaryngol Head Neck Surg 117: 433-8. 2 Pappagianis D (1980) Epidemiology of coccidioidomycosis. Coccidioidomycosis, Springer US, 63-85. 3 Centers for Disease Control and Prevention (CDC) (2013) Increase in reported coccidioidomycosis--United States, 1998-2011. MMWR Morb mortal wkly rep 62: 217-21. 4 Hector RF, Rutherford GW, Tsang CA, Erhart LM, McCotter O, et al. (2011) The public health impact of coccidioidomycosis in Arizona and California. Int J Environ Res Public Health 8: 1150-73. 5 Smith CE (1940) Epidemiology of Acute Coccidioidomycosis with Erythema Nodosum. Am J Public Health Nations Health 30: 600-11. 6Antony SJ, Dummer SJ, McNeil KK, Salas I (2005) Coccidioidomycosis in renal transplant recipients. Infect Dis Clin Prac13: 250-4. 7 Gago S, Buitrago MJ, Clemons KV, Cuenca-Estrella M, Mirels LF, et al. (2014) Development and validation of a quantitative real-time PCR assay for the early diagnosis of coccidioidomycosis. Diagn microbiol Infect Dis 79: 214-21. 8 Blair JE, Mendoza N, Force S, Chang YH, Grys TE (2013) Clinical specificity of the enzyme immunoassay test for coccidioidomycosis varies according to the reason for its performance. Clin Vaccine Immunol 20: 95-8. 9 Patel S, Snyder L (2009) A Sore Throat in the Southwest. Am J Med 122: 233-5. 10 Allen JE, Belafsky PC (2011) Laryngeal coccidioidomycosis with vocal fold paralysis. Ear, nose, throat j 90: E1-5. 11 Crum NF, Lederman ED, Stafford CM, Parrish JS, Wallace MR (2004) Coccidioidomycosis: a descriptive survey of a reemerging disease. Clinical characteristics and current controversies. Medicine 83: 149-75. 12 Rosen EJ, Newlands SD, Patel J, Kalia A, Friendman, NR (2001) Reactivated laryngeal coccidioidomycosis. Otolaryngol Head Neck Surg 125: 120-1. 13 Hajare S, Rakusan TA, Kalia A, Gibson FB, Strunk CL (1989) Laryngeal coccidioidomycosis causing airway obstruction. Pediatr Infect Dis J 8: 54-6. 14 Dudley JE (1987) Coccidioidomycosis and neck mass 'single lesion' disseminated disease. Arc Otolaryngo Head Neck Surg 113: 553-5. 15 Benitz WE, Bradley JS, Fee WE, Loomis JC (1983) Upper airway obstruction due to laryngeal coccidioidomycosis in a 5-year-old child. Am J Otolaryngo 4: 367-70. 16 Gardner S, Seilheimer D, Catlin F, Anderson DC, Hernried L (1980) Supglottic coccidioidomycosis presenting with persistent stridor. Pediatrics 66: 623-5. 17Ward PH, Berci G, Morledge D, Schwartz H (1976) Coccidioidomycosis of the larynx in infants and adults. Ann Otol Rhinol Laryngol 86: 655-60. 18 Galgiani JN, Ampel NM, Blair JE, Catanzaro A, Johnson RH, et al. (2005) Coccidioidomycosis. Clin Infect Dis 41: 1217-23. 19 Singh H, Yast CJ, Gladney JH (1956) Coccidioidomycosis with endolaryngeal involvement. AMA Arch Otolaryngol 63: 244-7. 20 Platt MA (1977) Laryngeal coccidioidomycosis. JAMA 237: 1234-5. Allen et al. 2011 52/F 1 year history of dysphonia and cough with prior history of treated pulmonary cocciodioidomycosis Videolaryngoscopy postive for erytema and pseudomembranous exudate over epiglottis and periform fosssa. Chest CT demonstrated large peumoceles and lung damge. Biopsy of vocal cords and sputum cultures grew C. immitis. No Complement fixation titer (CFT) was 1:32 Fluconazole After 6 weeks of antifungal therapy, largyngoscopy noted complete resolution of infection. Crum et al. 2004 47/M Hoarseness, neck adenopathy and increasing CF titer, history of pulmonary coccidioidomycosis FNA of neck LN was negative, laryngoscopy noted 3 nodules on vocal cords which yielded a positive diagnosis No CFT was 1:8, increased from 1:2 Fluconazole 600mg QD for 2 months Adenopathy and hoarseness resolved over 2 months. No relapses over 11 month follow-up peroid. Platt 1977 45/M Hoarseness for 1 year with associated fever, maliase, hemoptysis and weight loss; history of pulmonary coccidioidomycosis s/p lobectomy Chest X-ray showed extenstive bilateral infiltration with caviation. C. immitus was isolated in the sputum cultures. No CFT was 1:28-1:256 Amphotericin B for year intermittently, however sputum was still positive. Switched to miconazole nitrate for 10 weeks for resolution. Acute infection was resolved however bone marrow aspirate to assess anemia noted spherules of C. immitus.